That’s the name of the new campaign Starbucks will be launching this December to give 10 incredibly lucky Starbucks customers a free drink, every day, for 30 years. That’s 10,950 days of free coffee. I’ll repeat for emphasis, just in case it did not compute the first time: 10,965 days! Basically, this Starbucks campaign is inspired by Charlie and The Chocolate Factory. 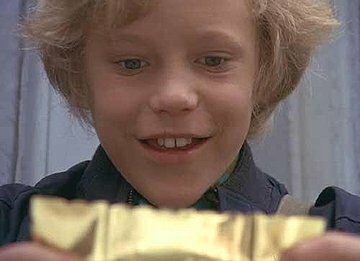 If you are lucky enough to find a golden ticket, you’ll get free coffee. You’ll never know when you buy your holiday drink if the cashier might say “Congratulations!” Wouldn’t that be a great day? Now we know what you may be thinking, that their slogan promotes coffee for life, but it is actually only for 30 years. But hey, let’s not be picky here. Those $2.65 grande iced coffees can really add up! In fact, if you were to get a grande iced coffee every day for 30 years, you would be saving just shy of $30,000. But really, isn’t being able to get free Starbucks coffee whenever pretty much priceless? Hmmm, yeah I think I will take that deal. “Starbucks for Life” launches on December 2nd and lasts through the first week of January. So get your iPhone apps ready and your Starbucks cards out everyone, because this is going to be big. To read more on this announcement, check out the original article here.